ANCHORAGE, Alaska, 2017-Oct-20 — /Travel PR News/ — Alaska Airlines today announced a new benefit for members of its Club 49 program. The new perk, dubbed “Freight for Less,” enables members to save up to 90 percent when shipping cargo intra-state. 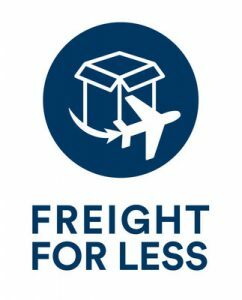 Starting today when traveling within the state of Alaska, Club 49 members can book up to 100 pounds of freight through Alaska Air Cargo for a flat rate of $10. Individual shipments dropped off at Alaska Air Cargo within 24 hours of arrival or departure are eligible for the deeply discounted rate. Additionally, the airline is adding an every day cargo benefit, where members can ship up to 100 pounds of cargo to 17 Alaska communities for a flat rate of $40. Freight for Less marks the fourth tier of Alaska Airlines’ Club 49 program, which includes two free checked bags, access to weekly fare sales and two “Travel Now” discounts, valid for 30 percent off last-minute travel. Club 49 was launched in 2011 to supplement the award-winning Alaska Mileage Plan by providing exclusive benefits to residents of the 49th state. Club 49 was designed to meet Alaskans’ unique travel needs and requires enrollment in the Alaska Mileage Plan. In 2016, Alaskans saved more than $20 million by utilizing their Club 49 benefits. For more information about Club 49 visit www.alaskaair.com/Club49 or www.facebook.com/AlaskaAirClub49. Alaska Air Cargo currently serves 17 Alaska communities, and with its new all-freighter fleet, plans to expand service in the Last Frontier. Alaska Air Cargo transports more than 170 million pounds of cargo annually – including seafood, mail and freight – and operates the most extensive air cargo operation on the U.S. West Coast of any passenger airline. Alaska Airlines, together with Virgin America and its regional partners, flies 40 million guests a year to 118 destinations with an average of 1,200 daily flights across the United States and to Mexico, Canada, Costa Rica and Cuba. With Alaska and Alaska Global Partners, guests can earn and redeem miles on flights to more than 900 destinations worldwide. Alaska Airlines ranked “Highest in Customer Satisfaction Among Traditional Carriers in North America” in the J.D. Power North America Satisfaction Study for 10 consecutive years from 2008 to 2017. Learn more about Alaska’s award-winning service at newsroom.alaskaair.com and blog.alaskaair.com. Alaska Airlines, Virgin America and Horizon Air are subsidiaries of Alaska Air Group (NYSE: ALK). This entry was posted in Airlines, Airports, Business, Corporate Travel, Flights, Transportation, Travel, Travel Services and tagged Alaska Air Cargo, Alaska Airlines, Alaska Global Partners, Alaska Mileage Plan, Club 49, Freight for Less, Marilyn Romano. Bookmark the permalink.